The Riverside Presbyterian Church Preschool is a partnership of parents, preschoolers, staff, church and community. Through play and group experiences this partnership encourages creativity, cooperation and the development of critical thinking in a safe, orderly, well equipped environment. 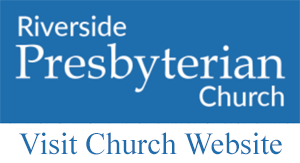 Riverside Presbyterian Church Preschool is an interdenominational learning center founded in 1970. This practice builds positive self-concept. Optimum challenge is provided so each individual can develop at his or her own best rate socially, physically and intellectually. We strive to use a holistic approach in educating a child. The concepts of self-decision and discovery are fostered, and creativity is encouraged through free expression.